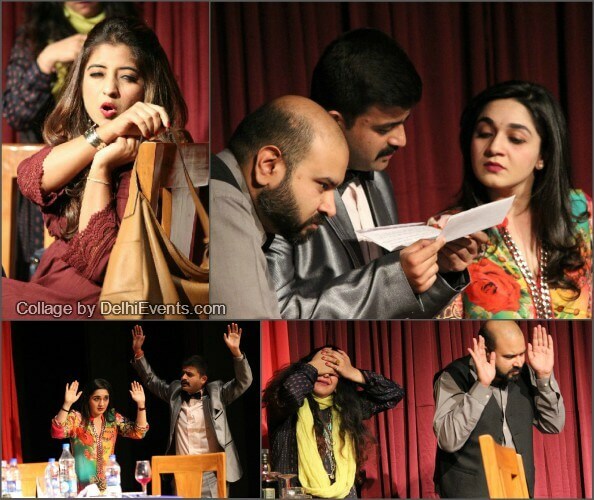 Event Description : THEATRE : Behroopiya Entertainers presents "The Guest List" English comedy play. A party with four guests (two Punjabis, a Bengali and a Tamilian) who are unaware of each other's identities are invited to Delhi's posh restaurant, 'Dawat-e- Khas' only to face-off in this season's rib tickling comedy of errors. A restaurant in a lock down with two ex couples intolerant of each other's existence, 4 years after their respective divorces. A host who is mysteriously absent and a fifth guest who will create a havoc of hilarity in their lives.